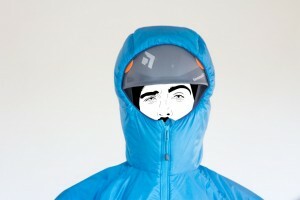 And just to toss in another comparison, the Patagonia R1 Hoody weighs in at 362g. From the above products, it’s clear that in dropping 66g and adding a significantly warmer body compared to the Rab Xenon, the Nuclei has a big leg up on the competition. 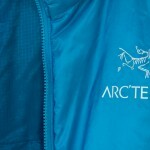 Beyond the numbers there are some other tangible aspects of a belay parka that impact performance. The fit of the Nuclei Hoody is no frills but still slightly athletic in the way most Arcteryx pieces are. I fit a Medium in the Atom Lt, and a Medium Nuclei fits about the same, albeit slightly looser around the torso. The Nuclei is a fairly minimalist piece overall, but does include a few nice-to-have features. Foremost is a hood that fits over a helmet. This is great when throwing the jacket on for a cold belay as the hood will not restrict your field of vision while belaying. There are no view-adjustment cords in the hood, which means you can also choose to put the hood under your helmet if you’re actually climbing with the jacket on in cold temperatures. The cuffs on the Nuclei are simple elastic which makes them a little poofy around the wrists. While the cuffs are not quite the design masterpiece of the Atom Lt’s, they are light and simple. The Nuclei also has a full length, non-locking, large-toothed YKK zipper that won’t snag in the fabric as easily as tighter-toothed zippers. 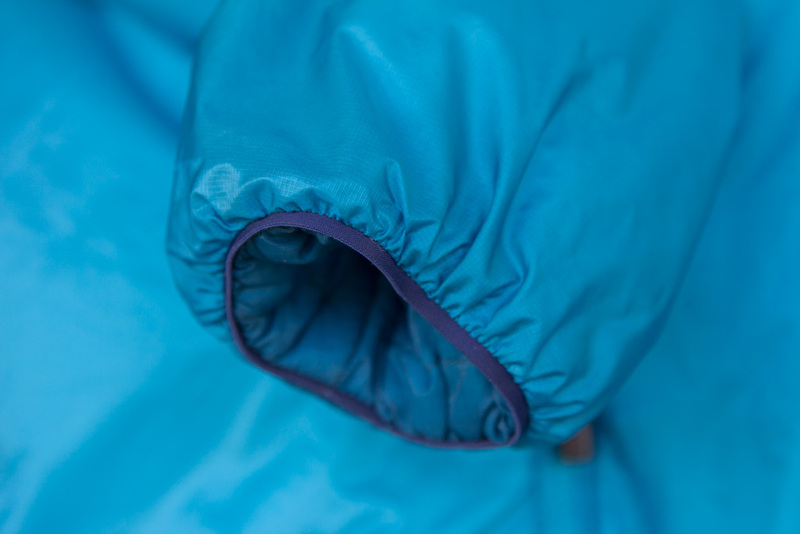 The jacket has two zippered hand pockets that allow your hands to slide behind the insulation, and a little pocket for the micro stuff sack that comes with the jacket. 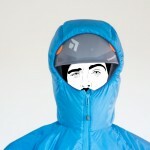 The hand warmer pockets are nice for around town and at ski transitions, and I think most users will appreciate them. However, for serious alpine climbing they are superfluous and the weight of the jacket could be reduced if they were removed. Another issue is that the internal pocket that holds the micro stuff sack is a bit slippery and doesn’t have a secure closure to keep the stuff sack from falling out. However, the stuff sack is a useful addition because it compresses the Nuclei down to an extremely small size. 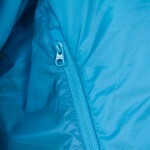 The 80g/m2 insulation in the core of the jacket is noticeably warmer than my 60g/m2 jackets in cold temperatures. 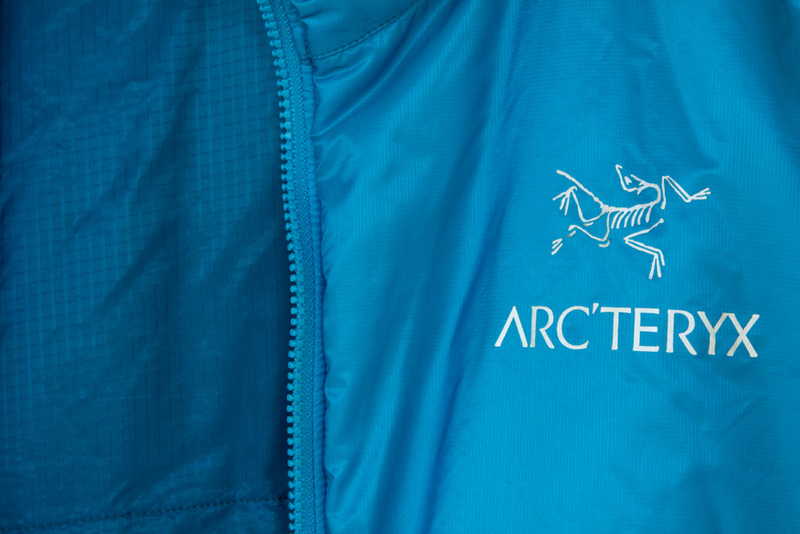 Unlike the Atom Lt Hoody, which uses Polartec Power Stretch under the arms for ventilation, the Nuclei hoody’s outer fabric is made entirely out of un-baffled 20×10 denier Airetica (ripstop nylon). 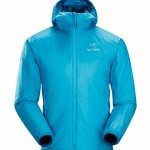 This construction makes the jacket quite windproof and warm. 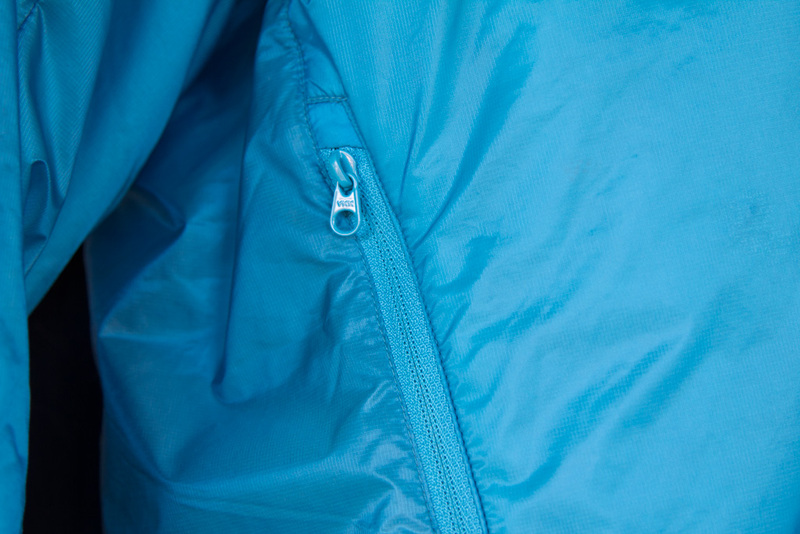 The fact that the Nuclei does not have sewn-through baffles/quilting, like those on the Nano puff hoody, means that it will be warmer than that jacket for the given fill weight. 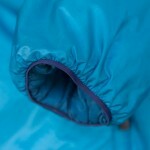 Sewn-through baffles compress the insulation and allow air to more easily permeate the piece. 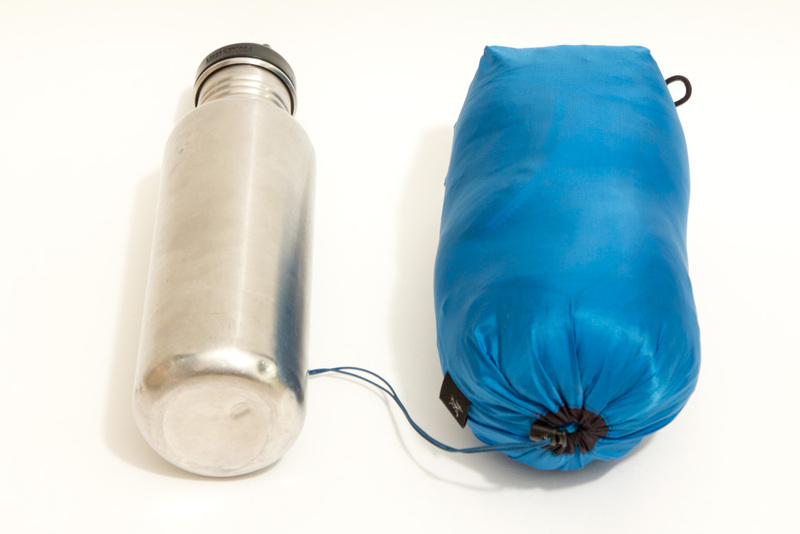 This is a major reason why nearly all down sleeping bags are constructed with box baffles instead of sewn-through baffles. 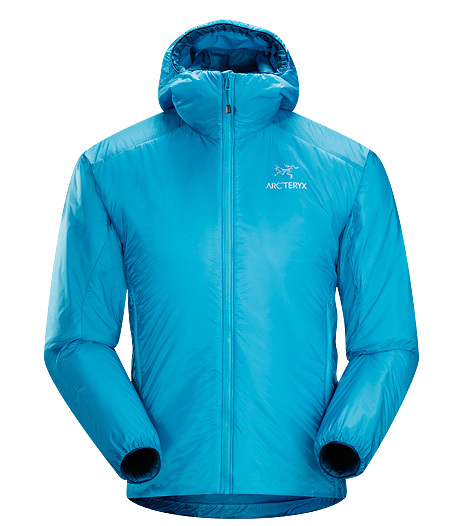 Given the Nuclei hoody’s warmth, weight, versatility and relative price, it has good value. Price wise, it falls towards the upper end of the above listed jackets, but not by much. 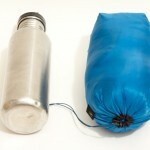 Overall the Nuclei is a great insulation piece that is exceptionally warm for the weight. In very cold conditions, some may opt to layer two Nuclei hoodies instead of a single warmer belay jacket (like the Dually or the DAS parka which are ~100-180g/m2) because it could make for a more versatile and lighter system. I expect that we will see other manufactures trying to match the design and weight of the Nuclei in the not too distant future. word of caution: the shiny finish make you look like you’re wearing a sleeping bag !